Reaching the pinnacle of one’s profession is a goal which every business aspires to achieve. Designing Dreams is also a pursuit which every wedding business strives to deliver to their brides. On Sunday the 8th of February 2015 one of Australia’s foremost V.O.W.S. (Vendors Of Wedding Services) Ceremonies with Style was recognised for their consistent achievement of Designing the Dream of a bride’s perfect day as the Australian Bridal Industry Academy presented the 2015 Palazzo Versace Designer of Dreams Awards. The Chairman of the ABIA, Mr John O’Meara said it was a great privilege and honour to have one of the world’s most lavish and opulent Hotels, Palazzo Versace as the major sponsor of the Designer of Dreams Awards. Just like a wedding is a Day to Remember, the 2015 Palazzo Versace Designer of Dreams Awards was a Night to Remember for all 190 attendees who celebrated a night of entertainment, extravagance, opulence and haute couture cuisine. The 2015 ABIA Designer of Dreams Titles is a national program designed to determine the best Vendors Of Wedding Services in Australia over a consecutive period of four (4) years. Each year the ABIA conducts the Annual Bridal Industry Awards in each of the 5 mainland States of QLD, NSW, VIC, SA, and WA. Over the past 4 years, the ratings received by each Vendor in the State awards are accumulated under a structured computer based algorithm to determine the contenders for the national awards. The 2015 national awards were determined by the votes of 126,216 couples who were married over the past four (4) years. 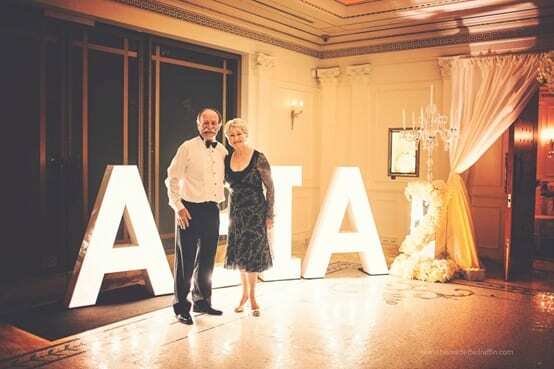 These newlyweds nominated a total of 3,476 Wedding Vendors across Australia, of which 697 qualified for the national titles culminating in 199 Finalists and 36 winners. The Chairman of ABIA Mr John O’Meara said that Ceremonies with Style should be extremely proud of being honoured by Australia’s peak industry body as one of the country’s top Vendors Of Wedding Services, especially when one considers the level of passion and commitment required to consistently excel in the design of products and services which culminate in the delivery of the brides perfect day. Mr O’Meara went onto to say that the Australian bridal market is one of the most demanding of industries as it requires wedding vendors a one off opportunity to deliver excellence the first time, every time, there are no second chances. Repeating this outcome year after year after year, bride after bride after bride is a daunting task for which thousands of wedding vendors strive to achieve. It is all the more daunting when the entity who determines this outcome are newlyweds who have been through the process of selecting and engaging wedding vendors who have demonstrated their ability to design the ingredients which culminate in the delivery of the perfect day. Ceremonies with Style is one such Company who has consistently delivered these dreams over a consecutive period of 4 years. Since 1997 the Australian Bridal Industry Academy (ABIA) has been conducting performance appraisals of businesses engaged in the supply of wedding products & services. Over 37,000 wedding business have been through the ABIA performance appraisal. Reaching the pinnacle of one’s profession is a goal which every business aspires to achieve. Designing Dreams is also a pursuit which every wedding business strives to deliver to their brides. On Valentines Day 2010 one of Australia’s foremost wedding suppliers: Ceremonies with Style was recognised for their consistent achievement of Designing the Dream of a brides perfect day. The 2010 Australian Designer of Dreams Titles is a national program designed to determine who the best wedding suppliers are over a consecutive period of four (4) years. The Australian bridal market is one of the most demanding of industries as it requires wedding suppliers a one off opportunity to deliver excellence the first time, every time, there are no second chances. Repeating this outcome year after year after year, bride after bride after bride is a daunting task for which thousands of wedding suppliers strive to achieve. It is all the more daunting when the entity who determines this outcome are newlyweds who have been through the process of selecting and engaging wedding suppliers who have demonstrated their ability to design the ingredients which culminate in the delivery of the perfect day. Ceremonies with Style is one such company who has consistently delivered these dreams over a consecutive period of 4 years. Since 1997 the Australian Bridal Industry Academy (ABIA) has been conducting performance appraisals of businesses engaged in the supply of wedding products & services. Over 30,000 wedding business have been through the ABIA performance appraisal. The Chairman of ABIA Mr John O’ Meara said that Ceremonies with Style should be extremely proud of being honoured by Australia’s peak industry body as one of Australia’s Top wedding suppliers, especially when one considers the level of passion and commitment required to consistently excel in the design of products and services which culminate in the delivery of the brides perfect day. Congratulations, you are soon to be married and will be sharing vows with the one you love. Your wedding ceremony is the heart of your special day and allows you the opportunity to declare your love for one another in front of those who are most important to you. The person you choose to lead the ceremony is a critical element in ensuring your day is both memorable and seamless. Selecting the right celebrant for you is a significant step in planning your special day. Listed below are some handy tips that can help you make this important decision.Chemistry and communication: Do you click with them on a personal level? The first thing to consider is whether you feel comfortable with the celebrant who will be meeting with you to discuss your wedding ceremony, and can you both communicate easily with him/her. Do they understand your needs and concerns. Competent and professional: Consider their professionalism – your celebrant has many responsibilities to help ensure your wedding ceremony is a success. It is important that you feel confident that the celebrant is competent and can assure you that they will take control and help you relax. It is highly probable that you may not be fully aware of everything that is happening around you, and the most important thing for you to do is to be able to focus on the wonderful man/woman you are about to marry! Experienced and qualified: Find out what training and qualifications they have achieved. Enquire about the celebrant’s experience and why they choose to work as a celebrant. Check that they have completed their Celebrancy trainingCreative and innovative: Your celebrant should be able to offer you some creative ideas and craft your ceremony to suit your individual needs as a couple – not just cutting and pasting the same words over and over again. Look for a celebrant who will personalise your ceremony and make it all about the people who mean the most to you. Ensure that you are able to choose your own words from a selection of ideas, and that the celebrant listens to you and tunes in to you as a couple. Well presented and reliable: Consider a celebrant who you feel confident on the day will dress to match the formality and style of the occasion, but not compete with the mother of the bride or the groom’s mother! The celebrant has an official role and needs to be dressed appropriately. Organiser and event manager: Consideration needs to be taken on whether the celebrant has a powerful enough voice to be heard across the crowd of guests. You will also need a celebrant who will stage manage everything, such as: the chairs are too far back, a water feature is making too much noise and needs to be turned off, the groom’s party are waiting and ready for the bride etc. The celebrant needs to co-ordinate with your MC to discuss crowd control. Guests like to know what is expected of them too. Consider if the celebrant is going to give you good service, follow through with what they say they will do and know how to help you avoid stress on the day. It is your wedding and it must be your way, however the celebrant should be able to offer you sound advice, while being flexible. 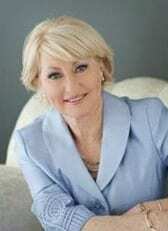 Passionate and compassionate: Look for a celebrant that you feel will offer a professional and personal service, and approaches your wedding as if it is the only one that matters, one who feels passionate about their role, and who will ensure your wedding day will remain in your memories as one of the very most magical days of your life.